Coenzyme Q10 (CoQ10) is a fat-soluble, vitamin-like nutrient that supports the function of mitochondria, the tiny power plants in each of the body’s cells. Mitochondria produce ATP, or cellular energy, so therefore supporting their function results in greater overall energy production in the body. Mitochondrial dysfunction and CoQ10 deficiencies have been implicated in many conditions such as fatigue, fibromyalgia, cardiovascular problems, neurodegenerative diseases and more. 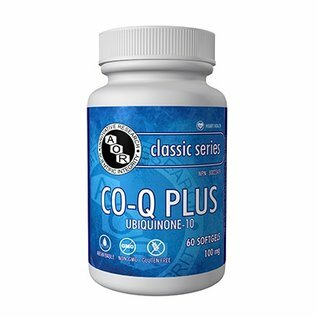 CoQ10 is also noted for its powerful antioxidant activity, and even keeps other antioxidants in their reduced active states. Doctors have been recommending CoQ10 to patients on standard heart medications for the last four decades, as statin medications are known to cause CoQ10 depletion in the body. 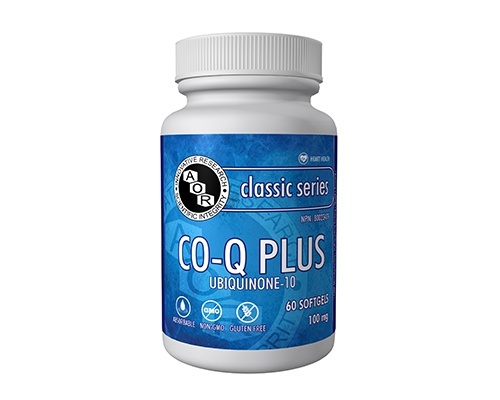 Co-Q Plus provides all of the benefits of AOR’s regular Coenzyme Q10 in an oil-based softgel for increased bioavailability.